When did Davenport's Figge Art Museum open? | River Action, Inc.
Its combination of reflective, transparent and opaque surfaces continuously transforms the appearance of the façade in relation to the sun and changing cloud patterns. 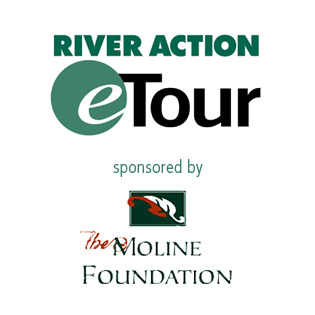 The building is a civic landmark in downtown Davenport and furthers the museum mission as a regional exhibition space and a community education center. The original art museum opened as the Davenport Municipal Art Gallery in 1925 with a gift of 350 European and Mexican Colonial paintings, creating the first municipal art gallery in the state of Iowa. Today, the collections include more than 3,500 paintings, sculptures and works on paper from the 16th century to the present. 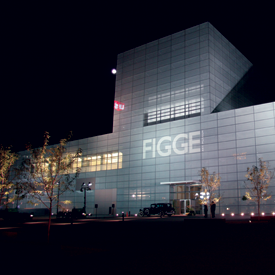 The Figge Art Museum is the premier art exhibition and education facility between Chicago and Des Moines. With soaring glass walls reflecting the constantly changing sky, the museum’s expansive galleries and intimate rooms are home to some of the Midwest’s finest art collections. Studio-style classrooms allow young and old to participate in the creative process.